← Are You Focused on Your Son’s Arts Education? You Should Be. April is National Poetry month, and in honor of this, today’s Thoughtful Thursday will feature two poems about writing poetry. John Brehm’s “The Poems I Have Not Written”, and Billy Collins’ “Workshop,” use humor to offer insight into the poetry writing process. Enjoy. on the ground for other words to eat. which gives me a very clear picture. a hook in the slow industrial canal below. I love slow industrial canal below. All those l’s. that makes it feel outdoors, but what about this wallpaper? Or is it a kind of indoor cemetery? But then there’s that last stanza, my favorite. especially the lines spoken in the voice of the mouse. when he’s describing where he lives. the spool of thread for a table. 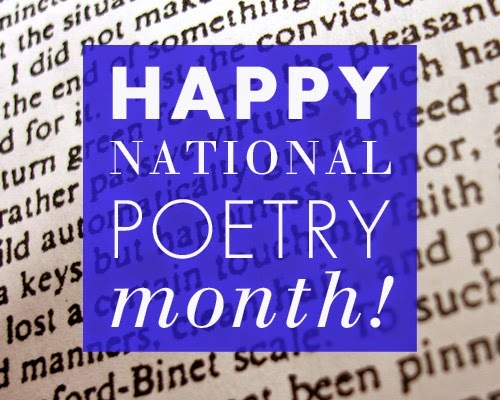 Comments Off on Thoughtful Thursday: It’s National Poetry Month!